Safari: a Swahili word, from the Arabic safara, meaning journey.Africa is still the continent of wanderers, but the lodge has become a destination in itself, rather than a camp along the way. The new safari aesthetic fuses high-end design with traditional African craft to create original, courageous and soulful architecture and interiors. 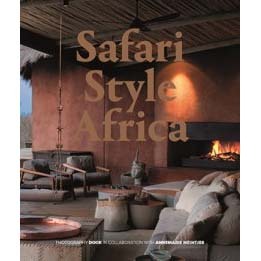 This careful attention to detail also serves to highlight the unique character of the environment – and the importance of preserving it.Safari Style Africa explores the most spectacular of these lodges, each one providing a gateway into the wild beauty of its setting, and encapsulating the spirit of Africa and its many faces.